Home Sweet Home: Reorganization Projects Continue! I'm dealing with my Sciatic pains lately but this does not stop me from my organization projects at home. I am and will continue to declutter the house and get rid of unnecessary stuff. I want a simple but elegant home and I know that it is not about how expensive your furniture and decor is but it is on how you arrange them, and to me that really matters. I have to say sorry to my daughter but I have to get rid of her never used stuff, as well. She has a guitar which is very seldom used. I also have to say sorry but the best bass pedals she is eyeing for will not be a priority at the moment. Good thing my kids are easy to deal with. They normally would understand at the first attempt of explanation (lol). 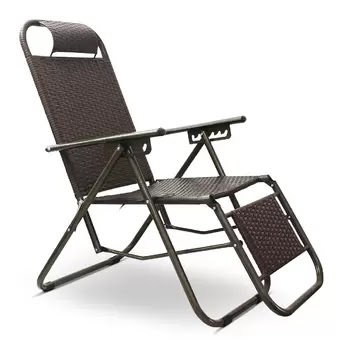 As I am planning to change my living room set to a smaller but more functional piece, I was also looking at having this Larosso Recreational Folding Chair. I was having back issues and my doctor recommended me to have a comfortable chair at home where I could sit while resting or watching TV. I saw this recreational chair at Lazada and I am tempted to buy this.